Explorer Media Group is a Seaside-based media and marketing company specializing in tourism and hospitality. 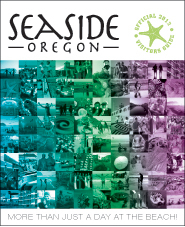 Our publications include the official visitor guide for the City of Cannon Beach, plus Coast Explorer, the three-time per year explorer's guide to the Oregon Coast. Our website, www.coastexplorermagazine.com, provides travel information to destinations along the entire Oregon Coast. We are social media experts with a presence on Facebook and YouTube and offer social media management services to our tourism and hospitality clients.